Exercising alone will not help you reach your ideal weight. 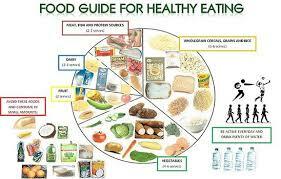 You need to cut down on your calorie intake, and learn to follow a healthy eating plan to reach your target. For those who need some help with this, here are some tips to help you move in the right direction. It’s quite obvious that you need to consumer fewer calories than you can burn for weight loss. Okay, so to calculate how many calories you burn in a day, you need to first calculate your Resting Metabolic Rate (RMR). This is the number of calories you burn every day, doing your routine work. It does not include any formal exercise. The formula to use is RMR= body weight in pounds x 13. Then you need to calculate how many calories you burn through exercise. On an average, the average man burns about 350 calories doing half an hour of moderately intensive aerobic exercise. Half an hour of lifting helps burn about 200 calories. You now have to add your RMR to the number of calories you burn in the gym and make sure you keep your everyday calorie consumption below the total to lose weight. It is a fact that caffeine makes the body rely more on fat instead of glucose for fuel during a workout. Unfortunately, the caffeine effect is reduced if you eat a high-carbohydrate meal with it. So make it a habit to drink about 1-2 cups of black coffee within two hours of working out. And if you have to drink it with a meal or snack, make sure it consists of healthy fats and protein. Just stop using cream and sugar as they are just unnecessary calories and fat, and don’t drink coffee any other time of the day as it desensitizes you to caffeine’s fat-burning effects. Bodybuilders recommend a healthy eating plan of about a gram of carbs per pound of your bodyweight for 3-5 low-carb days. The amount has to be doubled the next 1-2 days and repeat the cycle. This means that if you weigh 250 pounds, you need to eat 250 grams of carbs on your low-carb days, and 500 grams on other days. Though most people on a diet tend to cut down the number of meals they have a day to reduce their calorie intake, this is a big no-no. It is better and healthier for you if you eat healthy of six meals a day instead of the usual three meals a day with the same number of calories. This healthy eating pattern helps you lose more fat as eating more meals increases thermogenesis and the production of heat which in turn helps you burn more calories. The best way to determine how much you should eat per meal is by calculating how many calories you can consume per day based on the first tip, and then spread the number of calories across 5-6 meals. With the help of these dietary changes and healthy eating plan, you will find it much easier fighting the bulge. Remember, what you eat is half the battle against the bulge, regular exercise is the other half. Together, you will be able to fight the bulge and gradually but surely see some weight loss!